If there is enough snow and you want a short trip, then you can head to the Jura mountains on Genevas back. But that is not a very big ski area and the mountains are not at all as high as the alps. But if you are looking for a real big ski area, then the huge ski area Grand Massif with its 256km of skiable pists in France at only 52km from Geneva is your pick. You can enter the area through several different villages and choose between three different ski passes. We started from Les Carroz and took one of the smaller ski passes, Massif. If you plan to stay longer than a day, you could also take the pass for the hole area, Grand Massif, but if you are only staying for a day, you can’t manage to see all and you are better of taking either the pass “Massif” or “Flaine”, depending from where you start. The area are is good for all sorts of skiers. There are slopes of all kinds, many easy to medium pists that I prefer because you can just go down on a leisure pace. But there are also very difficult pists. All around the ski area are huts to stop for a break and as we had great weather both time we went there, we spend our breaks on the terasses enjoying the sun like so many other people. All together we had a good time there. 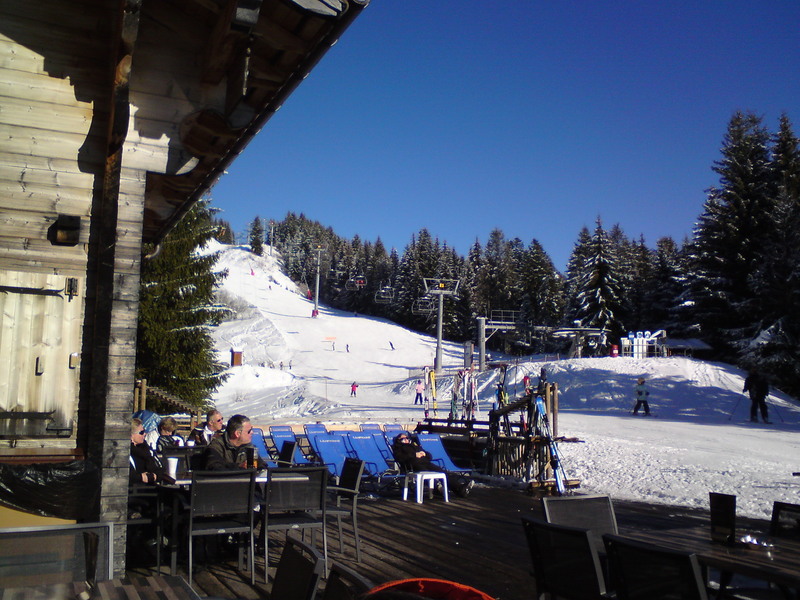 I can’t say anything about accomedation there but the ski area is beautiful, huge and divers. A good place to have fun! 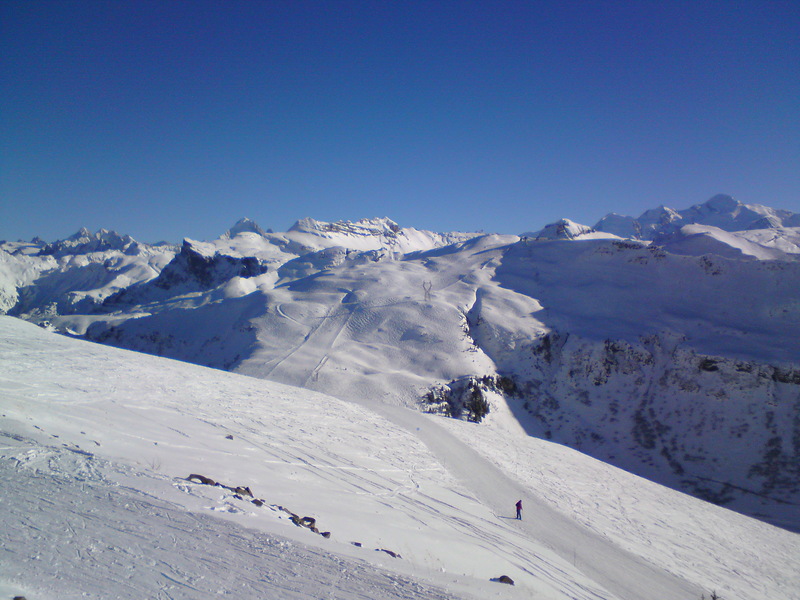 This entry was posted in France and tagged Alps, Grand Massif, Ski, Winter by kathatravelling. Bookmark the permalink.